We love having parent volunteers in our classrooms! 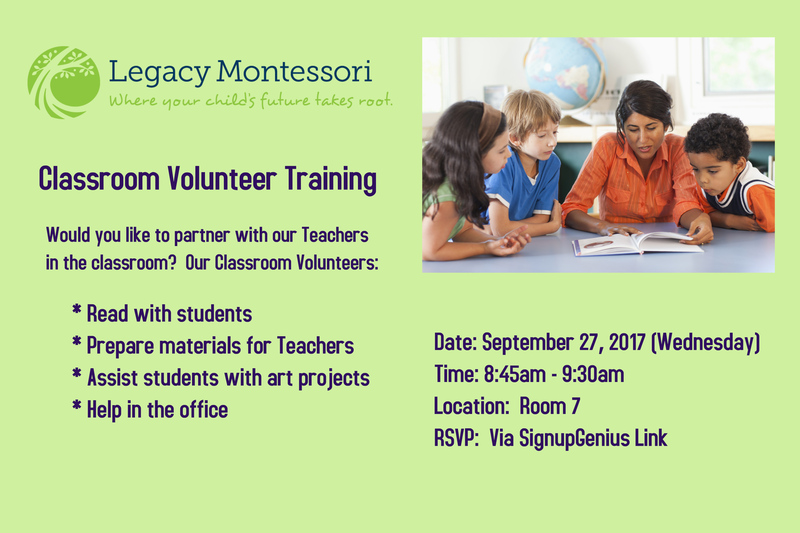 If you’d like to learn how you can help, sign up and join us on Wednesday, September 27 for training. This entry was posted in Parent Volunteer Training and tagged Classroom Help, Parent, Parent Volunteer, Training. Bookmark the permalink.